Last Saturday, the world witnessed the crowning of the new Miss Earth– our very own Philippine candidate Karen Ibasco! She won the judges and the crowd over and sealed the deal during the question and answer portion where she inspired us by saying that “as a global community, our microefforts will have a macro effect to help save our home”. Miss Earth 2017 Karen Ibasco wearing Merrell’s 1SIX8 Heathered Moc AC+. An advocacy that Karen passionately campaigns for is the use of reusable, sustainable energy to reduce emissions in the atmosphere to lessen global warming. She promotes walking or cycling as eco friendly modes of getting around the city. The need to use vehicles and potential emissions is reduced while also doing your body a favour by exercising. “We can walk if the distance is near or just use bikes (bicycles)” says Ibasco who was sporting the newest Merrell 1SIX8 Heathered Moc AC+. To make walking more enjoyable and comfortable, try out the latest lifestyle collection from Merrell which is designed for all your urban adventures. The ISIX8 AC+ features innovative materials and premium fabrics with open-air mesh for breathability, a FIT.ECO blended EVA contoured footbed with organic odor control, and an EVA midsole for stability and comfort. 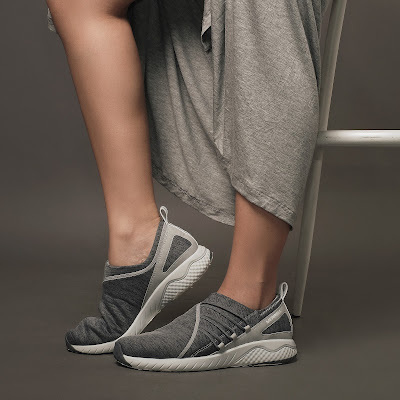 This 1SIX8 line is made more comfy with the addition of the Air Cushion + technology that secures heel-to-toe comfort for effortless walking around town! Ladies can choose a pair of the 1SIX8 AC+ in various colors and styles such as laces, moccasins, and Mary Janes! To know more about 1SIX8 and Merrell’s partnership with Miss Philippines Earth, visit Merrell Philippines on Facebook and follow @merrell_ph on Twitter and Instagram. Check out the latest and shop online at www.merrell.com.ph. Merrell is available in concept stores located at Glorietta 3, TriNoma, SM North Annex, Market! Market!, Robinson’s Place Manila, Festival Mall Alabang, SM City Dasmariñas, Marquee Mall Pampanga, Harbor Point Subic, SM City Cebu, SM Iloilo, SM City Davao, SM Lanang, Abreeza Mall Davao, Gaisano Mall Davao, Limketkai Mall, Centrio Mall, and select specialty stores and department stores nationwide. Visit Merell on Facebook at www.facebook.com/MerrellPhilippines and follow us on Twitter and Instagram: @Merrell_PH. Merrell® believes that nothing should get in the way of enjoying active outdoor adventures. Merrell hiking boots, trail running shoes and apparel are built on Merrell’s outdoor heritage, quality and performance. The trail is the core of our design philosophy and has continued to guide us in the development of innovative products that inspire and enable enjoyment of the outdoors.